If you need to get money from point A to point B in a hurry, Western Union is the ticket. Lou’s, a jewelry pawn shop and one of the largest authorized Western Union agents, is an authorized pick-up and drop-off center. 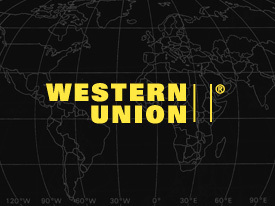 Using Western Union will allow you to transfer money anywhere in the world instantly. So come into our jewelry pawn shop and make sure you’re money is getting where it needs to, and fast!